Magic Tilt has been building quality boat trailers since 1953. As a family owned and operated business, we are located in Clearwater, Florida and have a strong business presence in the southeast United States. We also ship nation-wide and internationally. Magic Tilt excels in building aluminum and galvanized steel trailers designed for salt water applications. We are grateful to our employees and business partners for our successes over the years as an industry leader. Over the past several years, Magic Tilt has designed a line of fully welded custom trailers, the Custom Aluminum (CA) line, where we have over 500 fixtures in place, each for a specific boat hull. These trailers launch and load more smoothly than a stock bunk trailer because they generally have four 2 X 6 boards which fit the hull precisely. We encourage you to consider this premium line of boat trailers. We view trailer construction in three different parts: frame, boat support and under-carriage. The frame determines the structural strength and look of the trailer. 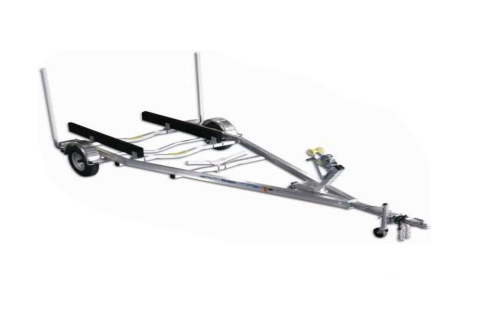 The boat support allows easy loading and unloading of your boat. Finally, the under-carriage provides both the weight carrying capacity as well as the shock absorption that you need. If you have questions, please visit our dealers – they know our product line and your unique boating conditions.